Eden Mobility Southampton is a large flagship store that is located on the bustling Shirley High Street and can be found opposite the Windsor Castle public-house. At our Southampton store, you'll find a selection of mobility scooters, stairlifts, rise & reclining chairs and a huge range of mobility aids to help you regain your freedom. Come on down and see our huge range of products and services for yourself. 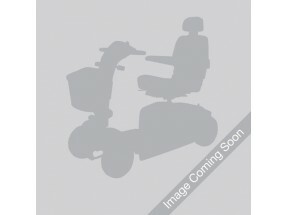 We have 15 used mobility scooters that are available to view at our Southampton store. If you are in Southampton or the surrounding area and you are looking for a mobility scooter to help you get from one place to another with minimal effort, come and speak to us today. We have a selection of small, medium, large and executive mobility scooters available. Powerchairs are the perfect solution for elderly and disabled persons. They're essentially an electronic wheelchair that can be operated with an easy-to-use joy-stick. Come and see us at our Southampton store today and we'll be able to show you the powerchairs that are available as well as answer any questions you may have. Eden Mobility in Southampton have a variety of rise and recline chairs in a selection of colours and sizes. Come and see them for yourself today on Shirley High Street. Our team will be able to show you the chairs and answer any questions you may have. If you are looking for a stairlift for your straight or curved stairlift, we can help. A stairlift could help you get up and down the stairs again with minimal effort - regaining your freedom. A stairlift is essentially an electronic chair that moves diagonally up and down the stairs using an electronic motor. We specialise in the supply and install of stairlifts for any type of staircase. Come and speak to us today on Shirley High Street - we even have a live demonstration stairlift so that you can see exactly how they work. We can supply high quality, durable wheelchairs in a variety of shapes and sizes - so you can rest assured that we have the right one for you. Come in to our store in Southampton today and see the full range for yourself.